Why walking a Long Distance Trail might be your best holiday ever! 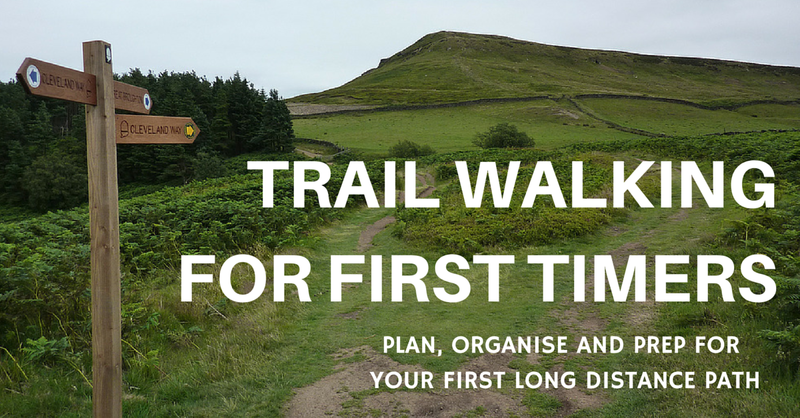 Would you like more information to help you prep for your first long distance trail? Please SIGN up below! 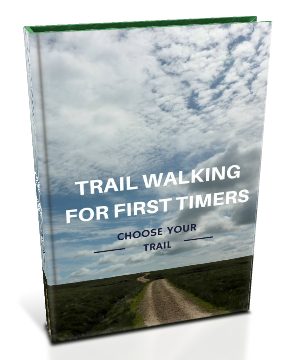 I'll send you this free PDF ebook on how to CHOOSE which British long distance path is right for you (even if you have absolutely NO IDEA where to start). 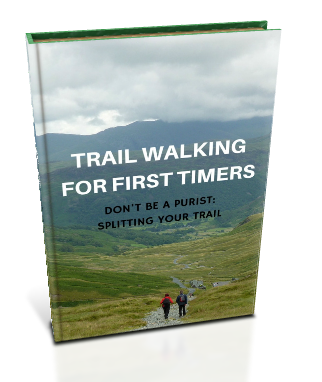 AND this PDF guide on how you can SPLIT your trail - and how not to be a trail hiking purist! Today I want to talk to you about why long-distance walking is the best holiday you can EVER do. I am a bit enthusiastic about long-distance walking. I have done a lot of long-distance walks, and with my partner as well between us we have probably walked about 13 long-distance walks in Britain. I started doing it ... I think it was when I was nine when my mum and me walked the Pembrokeshire Coast Path. Since then I have done loads of them. I've done some of them all in one in go and I've done some of them in stages, and I LOVE it! I want to tell you why. The reason why it's the best thing to do ever is it comes down to three As, which all begin with A. The first one is Adventure. Long-distance walking, it is like going on an adventure. You set out every morning and you come out of your door of your bread and breakfast and you look up at the sky and you think "Is it going to rain today or is it going to be sunny?" You get your ruck sack on. You've got all your stuff in there. You head off onto the path and wherever the trail is going that's where you're going to go. I love that. I love that feeling of moving on. I don't know why I feel that way but I much prefer to move on and go somewhere new and go to a destination on my holiday than to just stay in the same place and just get really bored in the same place. I love going moving on from A to B and then having a final destination in mind. It's like going on an adventure. You don't know what the day is going to hold for you. Even if you've done the trail before it's still going to be an adventure because it's a different weather conditions. It's a different day. You're going to see different things. Every time you do it it's a different experience. I love that about trails. I love the fact that people are doing the same trail as you. You could talk to someone who's done the same one as you. Some elements of it are the same but some elements of it different because every time you do it it's a different experience, and it's an adventure. It's a physical challenge. Trail walking is not to be underestimated. Doing it every day over and over, it takes it out of you. It's quite tough sometimes, but with a little bit of preparation you can do it, and you should do it. It gives you such an amazing sense of achievement. I did that walk in 2010 and it was one of the best holidays I have ever done. I still remember it so vividly and I'm still really proud of myself for doing it. I loved it. When do you get a holiday when you have that sense of achievement? These walks are some of the most memorable holidays I have ever done, because they have that sense of achievement element to them. This one here I've got a picture of me on the West Highland Way. That was one of my earliest ones as well. (Oh you can see the reflection of the camera there!) There I am looking out over the loch. It was fantastic. I just love it. The third A of the reason why long-distance paths are the best holiday ever is Amazing and awesome VIEWS! Seriously, these walks will take you deep into the countryside. You will be walking to places where most day trippers may not necessarily be able to go. You will be seeing some fantastic places, and one of the most memorable ones I can think of for me was called High Cup Nick, which is near a little village called Dufton, which is in the Eden Valley. Eden Valley ... Where is that? Have you even heard of it? It's to the east of Cumbria, and you've never heard of it because you always hear about the Lake District. You never hear about the Eden Valley. This place, the High Cup Nick, was on the Pennine Way and it is off the beaten track but it is a spectacular, amazing viewpoint. It's like a deep valley that's just high ... I can't ... I'm really bad at explaining it. I'll just show a picture. There, dis you see that picture? I added it in. The walks take you to these places that you feel like you have it to yourself a lot of the time. They're going to take you to these places that most people will never get to see, because most people who go on walks are just going for their car, round a circle, back to the car, off they go. You are going deep into the countryside and you'll be seeing some fantastic, fantastic views. The good thing about it is with a lot of these walks you get to experience the mountains and the hills without necessarily climbing up every mountain and hill that you see, which is a brilliant way of expressing and looking at the mountains and hills. You pass by them and you can look at them and admire them and think "Wow, that's fantastic," but you're not necessarily having to spend the day going up one and back down the other one. It's a wonderful way of exploring the countryside and getting to know the area. Those are my three Es: Adventure, Achievement, and Awesome and amazing views. Threes Es? That's four As, four As! It's four As! I'm just so excited I'm getting a bit silly! So consider doing a long-distance walk this year. You don't have to do it all in one go. You could do it in stages over a few months but that's a topic for another video, so I'm going to leave it there for today. Thanks!